Fill up our online contact form or call 020 3746 1366, and our 24/7 customer assistants will give you a non-binding and free quote, as well as information about our current deals and discounts. Gutter cleaning is a preventive measure that every property owner must take in order to prevent the clogging of the gutters and downpipes, because it could cause serious water damage to the property. Our gutter cleaners use wet or dry vacuum cleaners and telescopic poles with tiny cameras attached to them to locate and remove all of the leaves, twigs and other dirt. They will ensure that they get your gutters clean and will show you pictures of their condition before and after the cleaning. Ashlee House Cleaning offers a 30 day service quality guarantee. A team of gutter cleaners will re-clean if your gutters get clogged during this period. We have highly experienced roof cleaners who can easily bring your roof back to pristine condition in no time. They work with strong jet washing equipment and also telescopic poles that will eliminate mildew, lichen,algae, icky spots and moss from any roof. That can help to make your estate look better, and will keep it protected from destruction from all the potentially harmful clumps on it. You could save lot of funds for repairs, by booking our service. We guarantee that your roofing is nice and thoroughly clean and we are going to do it at a very reasonable price. If you require assistance with the cleaning of your gutters, your roof or your outdoor windows, do not hesitate to request our high quality cleaning services today! 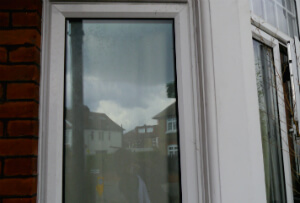 Because we care about our clientele, we have tailored a very refined and easy booking system for our window cleaning Loughton St Marys IG10 and for our several other services. You could get a 100 % free price offer or schedule an appointment with our expert window cleaners by simply calling 020 3746 1366 or filling out the online booking request form. The customer support staff is available 24/7. You will get an e-mail and a SMS validating your reservation within 2 hours of your request. Pick every day of the year for making your reservation with us. We have fair rates. No upfront payment is required for scheduling this service. If you are booking earlier on or are a frequent customer, we will give you our advantageous price for that one and several other services. Real estate agencies and property administrators also get reduced price offers. Make sure you leave it to our professional cleaners to efficiently clean your roof, gutters or windows - order our excellent quality cleaning service today!